AHEAD of the April 18 Lok Sabha elections in Tamil Nadu, the Election Commission on Tuesday said it has seized unaccounted cash, gold and other valuable items worth over Rs 360.84 crore till date. Listing the steps taken for the smooth conduct of the polls in the State, Chief Electoral Officer Sathyabrata Sahoo said the services of 63,951 personnel from the police department would be used during the polls. 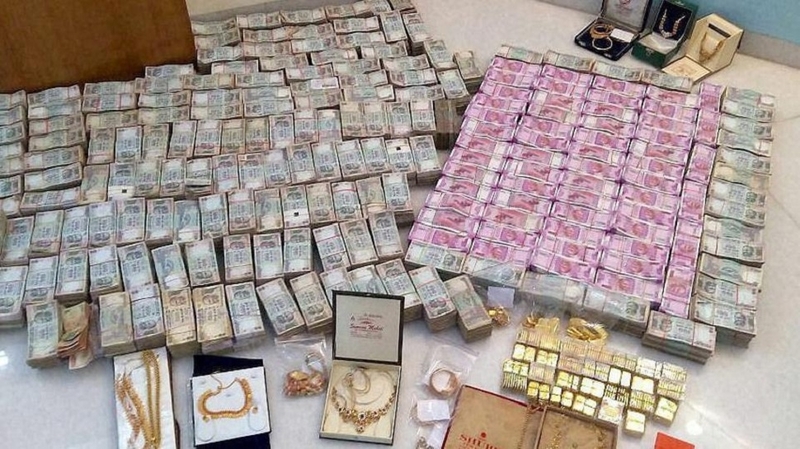 Till date (since the Model Code of Conduct came into effect on March 10), Rs 122.30 crore in cash, gold and silver jewellery and other metal items worth Rs 238.54 crore were also recovered by EC officials, he told reporters. Sahoo said the flying squad also recovered narcotic drugs valued at Rs 26.79 lakh besides laptops, pressure cookers and clothes. Stating that the EC received 1,954 complaints through its mobile application, he said action was taken against 834 complaints of which 36 were pending, while 1,084 were rejected. A total of 74 lakh bottles each measuring 10 ml containing indelible ink has been procured at a cost Rs 2.47 crore, he said. The Election Commission has identified 7,780 polling stations as sensitive booths in Tamil Nadu.